Pears, pears, and more pears! It’s pear season! 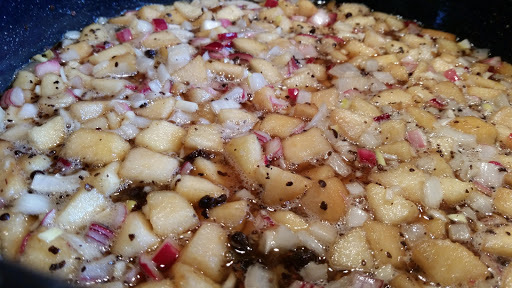 That means it’s time to make pear preserves, spiced caramel pear jam, pear juice for future jelly, and this wonderful Pear Chutney! 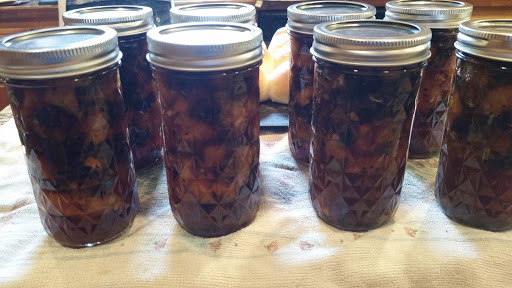 Remove from heat and ladle into hot, sterilized jars. Wipe the rims and add a 2 piece lid and process in a water bath canner for 15 minutes. This recipe yields about 6 pints. I doubled the recipe and filled 8-12 oz. jars. There are so many ways this can be used. It can be used as an accompaniment to venison or pork, spooned over cream cheese to be served with your favorite cracker, or as a midnight indulgence heaped on ice cream. The possibilities are endless!